3M4905 Clear, VHB acrylic foam with a general-purpose acrylic-based adhesive on a PE film liner; alternative is JR8020C 20 192 oz. Permanent Bonds P.O.P. displays, sails, seals skylight dome, back lit signs and graphics. 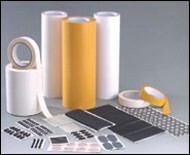 3M4910 Clear, VHB acrylic foam with a general-purpose acrylic-based adhesive on a PE film liner; alternative is JR8040C 40 175 oz. Permanent Bonds P.O.P. displays, sails, seals skylight dome, back lit signs and graphics. 3M4920 White, VHB acrylic foam with a general purpose acrylic-based adhesive on a paper liner; alternative is JR8016W 15 175 oz. Permanent Bonds metals, painted metals and plastics, metal skins to frames, P.O.P. displays, panel attachment to frames, overlapping seams and decorative trim. 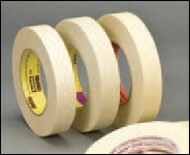 3M4930 White, VHB acrylic foam with a general-purpose acrylic-based adhesive; alternative is JR8025W 25 20 oz. Permanent Bonds metals, painted metals and plastics, metal skins to frames, P.O.P. displays, panel attachment to frames, overlapping seams and decorative trim. 3M4941 Gray, VHB acrylic foam with a multi-purpose acrylic-based adhesive; alternative is JR8045E 45 20 oz. Permanent Bonds metals, painted metals and plastics, metal skins to frames, P.O.P. displays, panel attachment to frames, overlapping seams and decorative trim. 3M4950 White, VHB acrylic foam with a general purpose acrylic-based adhesive on a paper liner; alternative is JR8045W 45 400 oz. Permanent Bonds metals, painted metals and plastics, metal skins to frames, P.O.P. displays, panel attachment to frames, overlapping seams and decorative trim. 3M5925 Black, VHB acrylic foam with a modified acrylic-based adhesive on a PE film liner; alternative is JR8060E 25 17 oz. Permanent Bonds metals, painted metals and plastics, metal skins to frames, P.O.P. displays, panel attachment to frames, overlapping seams and decorative trim. 3M5952 Black, VHB acrylic foam with a modified acrylic-based adhesive on a PE film liner; alternative is JR8045W 45 20 oz. 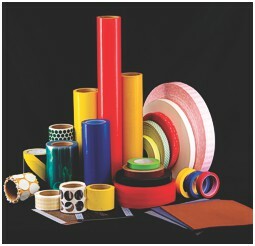 Permanent Bonds metals, painted metals and plastics, metal skins to frames, P.O.P. displays, panel attachment to frames, overlapping seams and decorative trim.